A Prom Reshoot? 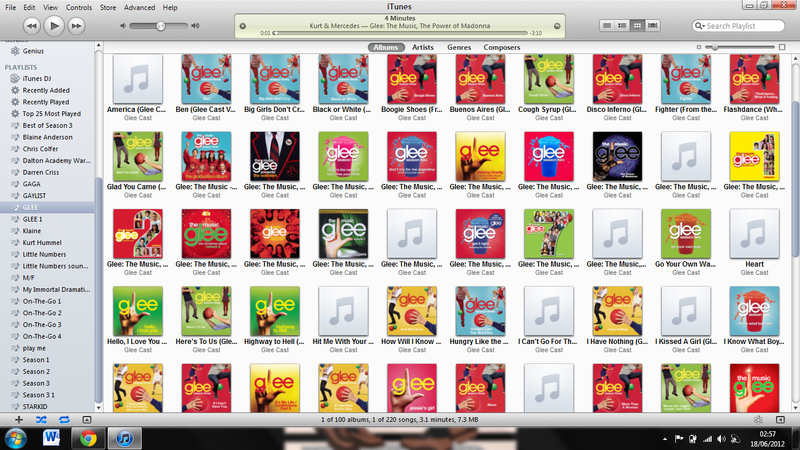 Quite a firestorm this whole Glee Spoiler Twittergate thing has created, yes? If you don't know what we're talking about and don't want any Glee spoilers, well, you're on the wrong website, for starters. But if you are curious as to what's going on with this whole spoiler mess, we covered it all yesterday. Again, as we prefaced in that article, do not read it if you don't want to be spoiled. We asked Fox whether they would be doing reshoots in an attempt to right this wrong, and they wouldn't confirm either way. So, a new prom queen and king could possibly happen. In a related note, please do not release the Kraken on us. Prompalooza: There's been so much controversy surrounding the prom episode we forgot to just look forward to it! Look! 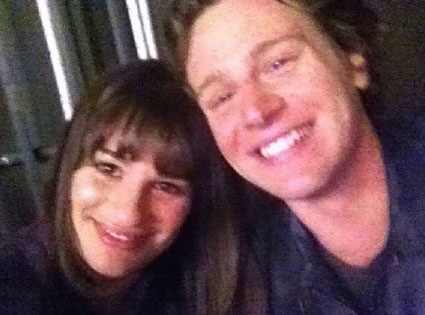 Lea tweeted a pic of her and Jonathan Groff! It can't get much more exciting than to know the Groff is almost back in our TV lives. 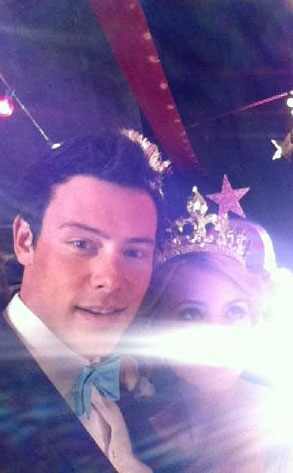 And is that a crown we see perched upon Quinn's (Dianna Agron) head in the photo tweeted by Cory? How about we make everyone prom royalty and just clear the dance floor for some Mike Chang dance moves? Gaga Ooh-La-La : Next week is the 90-minute long "Born This Way" episode. Harry Shum Jr. tells us: "That episode is going to be a lot about Kurt and Karofsky. Also, in the glee club, everyone is going to be looking at themselves and seeing certain things they might not be happy with as far as their appearance or some inability that they cannot do, and it's going to be a lot of finding themselves." So what will they pack into those extra minutes? Harry thinks the answer is simple: story. "As far as the 90 minutes go, I think they're just extending some scenes because they want to tell the story right," he says. Regarding that big, bad bully, he'll definitely be involved in the "Born This Way' number. But don't expect Karofsky to come flying out of the closet in the episode. Hey, as long as Heather Morris is dancing in it, we don't really mind what goes down. The Mall Dance Revisited: Remember the awesome "Safety Dance" mall number that Kevin McHale and crew did last season? (Ahhh, season one. We miss you.) Take that number, add more of the New Directions members, stir it all up with a Barbra Streisand swizzle stick, and you've got one kickass performance in next week's episode. For all you Puckleberry shippers, this scene might be for you. Don't worry Finchel fans, there's a scene in there for you, too. What did you guys think of Glee's return? Triumphant? A letdown? You know where to go to air any and all grievances. And we'll see you next week for "Born This Way!"